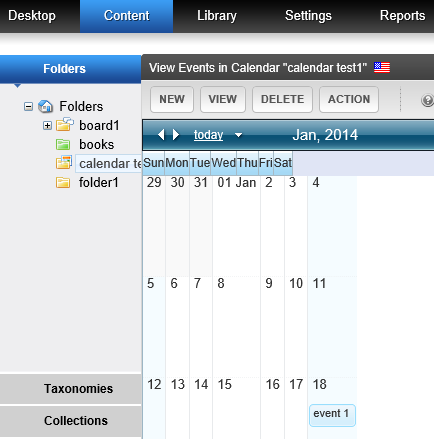 In the Ektron Workarea, if you create a calendar folder then view its calendar, its dates are shrunk. Internet Explorer 11's Compatibility View, which is turned on by default, is not supported. To avoid cosmetic and some functionality problems, disable Compatibility View. Press Alt/X to display the Internet Explorer Tools menu. 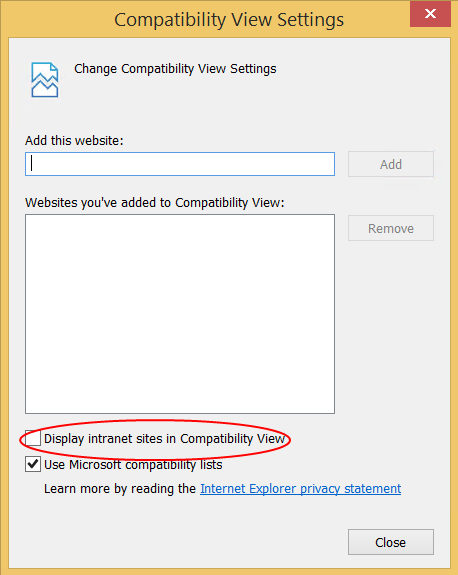 Uncheck Display intranet sites in Compatibility View.